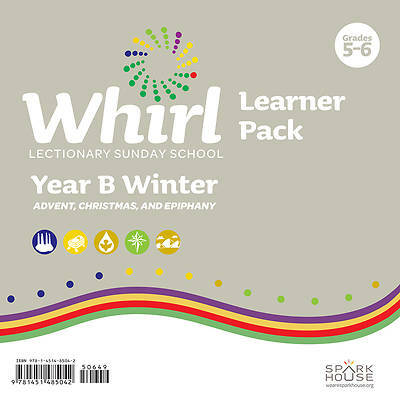 Leaflets help kids process the Bible lesson and keep them connected to church life. • The seasonal color and icon orient kids to the lectionary Sunday and church season each week. • The front panel serves as an opening activity during the WELCOME section each Sunday, while the larger square helps kids personalize the lesson during the RESPOND part of the Whirl Lectionary lesson. • The back of each leaflet serves as a take-home piece with seven suggestions for families to dive deeper into the Bible lesson and church season throughout the week. This Learner Pack provides one Grade 5-6 leaflet for each week in the Year B Winter quarter.